the “Heart of the Verde Valley"
When looking for historic hotels and lodging accommodations in Cottonwood, the Cottonwood Hotel has served the Cottonwood, Verde Valley area since 1917 and is the longest standing hotel and business with the same name and same location. 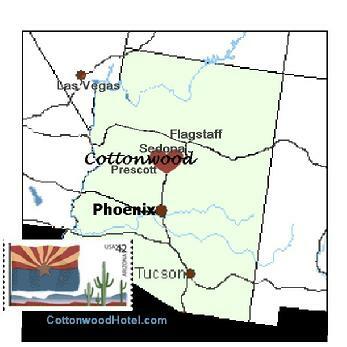 The Cottonwood Hotel is centrally located when vising the surrounding towns of Jerome, Clarkdale, Cornville and Sedona. 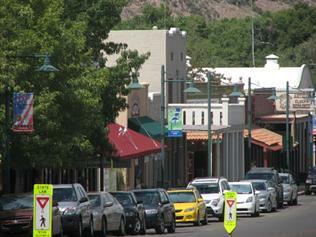 Find Cottonwood AZ information here. Being geographically centered in the state of Arizona, Cottonwood is 1½ hours north of Phoenix and 50 miles from Prescott. Cottonwood is 1 hour south of Flagstaff, 2 1/2 hours south of the Grand Canyon and 4 1/2 hours from Las Vegas. Cottonwood being the hub of the Verde Valley, is just 15 minutes to Sedona, 6 miles up the hill to Jerome, 20 minutes from Camp Verde and Cottonwood Arizona downtown (Old Town) neighbors the small town of Clarkdale. Cottonwood Arizona was founded in 1885 and incorporated in 1960. This 20-foot climbing wall will thrill novice to moderate climbers. 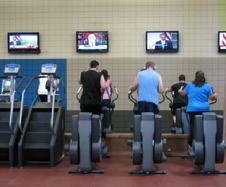 Basketball gymnasium - for basketball, volleyball, indoor soccer, trade shows . . .
Two lap lanes for swimming or playing water basketball. Indoor leisure pool - slide and lap lane section adjoining the rest of the pool. The 160 foot flume slide! with the zero-depth entry in the foreground. One of the three preparation areas attached to the community rooms/banquet hall. Hospital: The Verde Valley Medical Center... has one of the finest diagnostic and treatment centers in Northern Arizona. is milder than lower desert areas like Phoenix and Tucson. The beauty of the summer months here in the higher desert of Cottonwood is that if we see 105 degrees during the day, the night averages cool off to 68-72 degrees. All year long there is a 30-40 degrees difference between day and night. Due to its mild climate, location and community profile, Cottonwood is one of the most favored places to live in the Verde Valley. News and Information in Yavapai County including Verde Valley, Cottonwood, Camp Verde, Clarkdale and Sedona with updated weather, jobs, real estate, arts and more. Get the real newspapers here and read online. OLD TOWN is one of few revived historic Main Street old west towns. It is small and quaint and yet has a beauty all her own. Still a best kept secret, away from the big city hustle bustle, Cottonwood is central to most places in Arizona and is the heart of the Verde Valley. 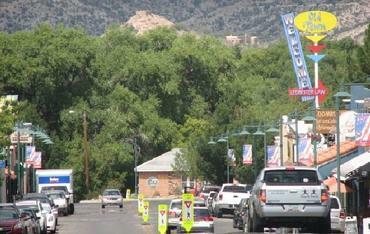 Verde Village is adjacent to the city of Cottonwood, was developed in 1970 and is presently unincorporated. It's mail is still addressed to Cottonwood with the same zip code of 86326. It is a part of Yavapai county. Sinagua Indian Dwellings are Montezuma Castle , Montezuma Well and Tuzigoot National Monument (1 mile from Old Town Cottonwood)... If you know where to look, you can see Tuzigoot hoovering over North Main Street.